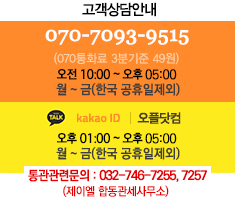 • 체중조절이나 운동시 식사대용 또는 단백질 보충용으로 섭취하세요. • 직사광선이 없는 서늘하고 건조한곳에 보관하세요. Dairy protein blend (whey protein isolate, whey protein concentrate, milk protein concentrate), isomlato-oligosaccharides, soy protein isolate, chocolate liquor (roasted and ground cocoa beans), vegetable oil (palm kernel oil, palm oil, shea oil), polydextrose, glycerin, tapioca starch, maltitol syrup, water, natural and artificial flavor, low fat cocoa powder, cocoa powder (processed with alkali), calcium carbonate, dried egg white, salt, soy lecithin, agar, sucralose, tocopherols. Contains : Milk, soy and egg. 정말 놀랍도록 맛있습니다. 무조건 믿고 사세요! 체중조절 및 단백질 손실 막으려 먹었습니다. 먹어본 프로틴 바 중에선 최고입니다.